James Franco was honoured with a star on the Hollywood Walk of Fame on Thursday afternoon in California. 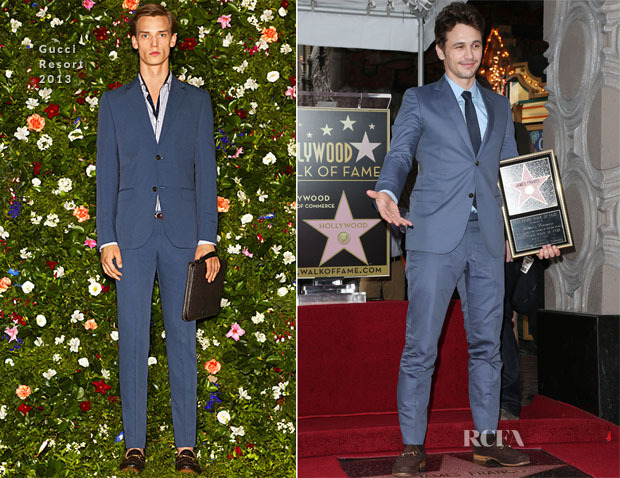 The star of ‘Oz: the Great and Powerful’ looked incredibly handsome in a Gucci Resort 2013 cornflower-blue suit. The blue colour combination was perfectly executed and the entire suit was nicely tailored. 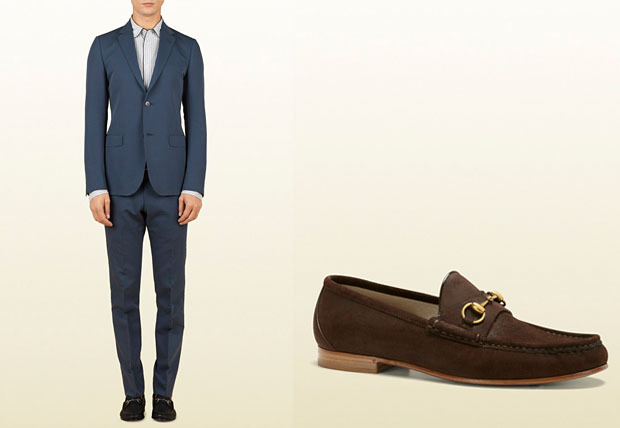 James wisely opted to have his pants cut short to accentuate his Gucci brown loafers. He has been seen in a Gucci suit at least three times since mid-February most notably at the LA premiere, the Japan premiere and the Moscow premiere. The actor joins Ryan Gosling and Robert Pattinson in going gaga for Gucci. Which Was Your Favourite Jessica Chastain 2013 Awards Season Look?